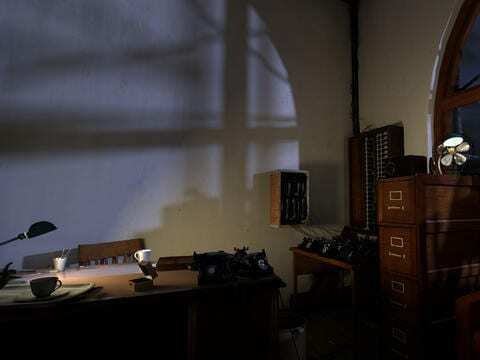 Circa 1948 offers a non-linear approach to storytelling through an interactive platform that brings creativity to a new level of exploration. 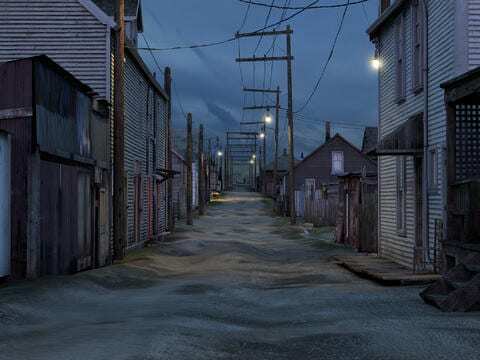 NFB’s Digital studio and artist Stan Douglas created a real-time 3D photorealistic environment that uses the native functions of the iPad and iPhone to enable the viewer to craft their own path within 1948’s Vancouver, BC. A leader in audiovisual storytelling advances, the NFB has established itself as one of the world’s most acclaimed digital content hubs, creating trailblazing interactive documentaries and animation, mobile content, installations and participatory experiences that to date have won more than 100 awards, including seven Webbys. Kicking off the 2014 Tribeca Film Festival’s Storyscapes program with a live event featuring Stan Douglas and members of the NFB team unveiling the work within an interactive installation – The app is paired with an online website framing the Circa 1948 story and characters, creating a unique entry point to the project. This expansive artistic universe offers a more visceral and nuanced picture of the postwar world by joining two locations that no longer exist: Hogan’s Alley, where immigrant workers, drifters, and dreamers rub elbows with politicians and cops on the take; and the old Hotel Vancouver, a crumbling grand hotel occupied by newlyweds, grifters and homeless war vets. Circa 1948 happens in and around two long-gone but not forgotten parts of Vancouver, BC—one on the West Side and one on the East Side. The first is the old Hotel Vancouver, a grand Italian Renaissance-style building originally built by the Canadian Pacific Railway in 1916. It became somewhat dilapidated and was replaced by a new CPR hotel facility a block away in 1939. While visiting Vancouver in April 1946, architect Richard Neutra was asked what should be done with the old hotel, and he recommended the site be used for parking. But four months prior, hundreds of homeless veterans had already found a use for the hotel when they squatted it, demanding that it become a hostel until adequate postwar housing became available. Their demands were briefly met, but the building was ultimately demolished, in favor of a parking lot, in 1949. The second location is Hogan’s Alley on the East Side—an ethnically diverse area at the southwest periphery of Vancouver’s oldest neighbourhood, Strathcona, that was home to many Italian, Chinese, Japanese and Black families after the war. 3DIt was composed of single-family dwellings and rooming houses. Since at least the 1930s, it had been a place where bootlegging, gambling and prostitution were tolerated by the police, and it was frequented by West Side people on weekends, visiting jazz musicians afterhours, and Black porters who worked the US and Canadian railway lines that terminated at stations a block away. Hogan’s Alley was razed in 1968 to make way for the off-ramp of the Dunsmuir Viaduct that now connects Vancouver with its eastern suburbs. By pushing the limits of 3D rendering on the tablet, using binaural sound with touch and gyroscope-driven navigation modes, and running it all on an independent, Canadian-made, open-source rendering engine to control what is essentially an art experience, it’s safe to say that Circa 1948 distinguishes itself as a truly ground-breaking work. 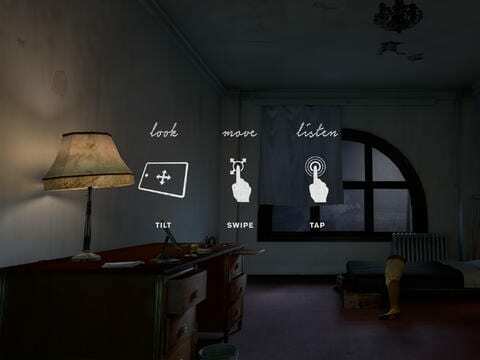 A gaming engine to simply tell a story, whether linear or not, is new enough to risk alienating both classic gaming audiences and art/film audiences. It is a true hybrid form. But it is also a way of opening up the genre to new audiences who would be less inclined to try digital interactive experiences, and is therefore an initiative that the NFB’s Digital Studio team is excited to help pioneer. Download the Circa 1948 App on the iTunes App Store today. 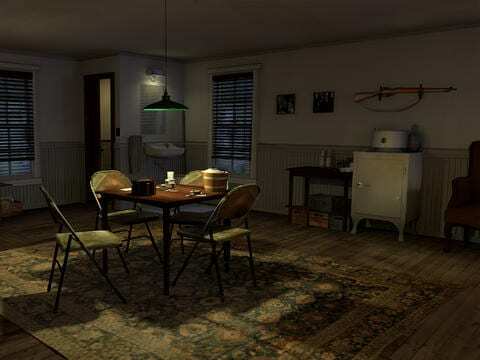  Archived in Uncategorized and tagged 3D, App Store, Canada, Culture Shock, Installation, iPad, iPhone, National Film Board of Canada, NFB, Stan Douglas, Vancouver. Bookmark the permalink.